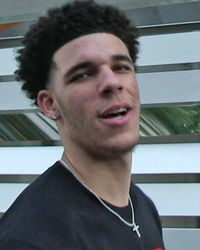 Lonzo Ball played basketball as a freshman guard for the UCLA Bruins during the 2016-2017 season. 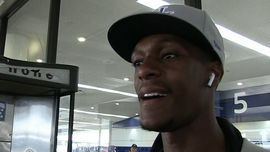 He contributed to the team’s winning record, although they lost to Kentucky in the Sweet 16 round of the NCAA Tournament. He has elected to leave school to enter the NBA Draft, which will occur on June 22, 2017. Ball grew up in Los Angeles idolizing NBA great Magic Johnson. Johnson is now the Lakers president of basketball operations. Ball would ideally love to play for his hometown team and for his role model, but would happily accept a position on any team for the opportunity to play pro ball. Ball was born on October 27, 1997 to parents LaVar and Tina. He has two younger brothers, LiAngelo and LaMelo, who are also standout athletes. The trio is known as the “Ball Brothers.” Ball’s mother suffered a stroke on February 21, 2017 and underwent skull surgery. His father reportedly prevented him and his brothers from visiting her in the hospital. 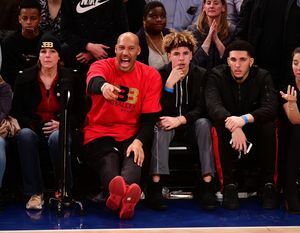 Sues Big Baller Brand Co-Founder ... You Stole Millions!!! Baby Daughter Sits Courtside ... Daddy Balls Out! !